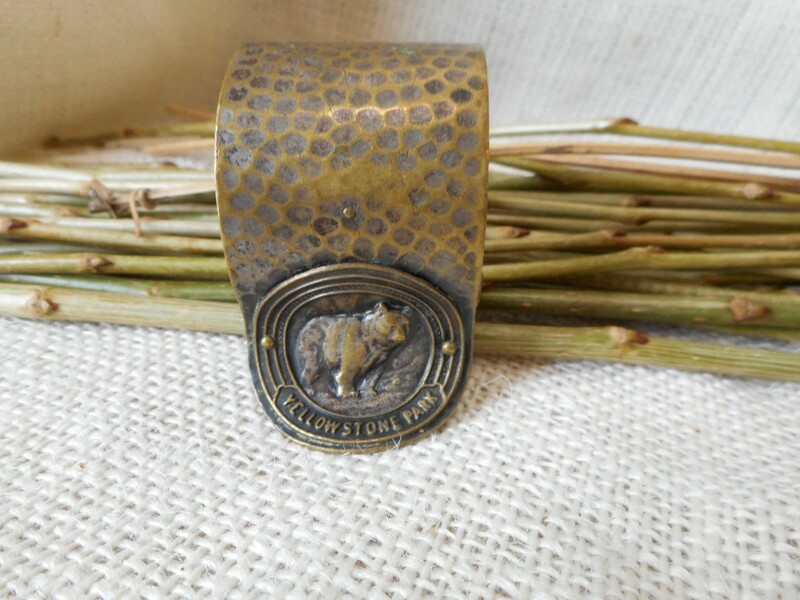 Yellowstone National Park napkin ring circa 1920. This one features the park Bear, a popular image shown on luggage labels, and even on the touring cars, during the period. Measures 1.40" wide.